Jennifer is the founder & owner of Coaching by Jennifer. 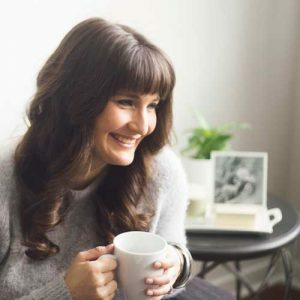 She is a Weight Loss and Lifestyle Coach, Certified Personal Trainer, and Indoor Rowing Coach with a passion for supporting women through the transformative journey of weight loss while creating sustainable healthy habits. In general, I am not a very superstitious person. I have taken notice for awhile, however, that in my life, big changes come in threes. And this year is “proving” me right. As many of you know already, this year I have already made the momentous changes of closing my retail franchise location to start up my own personal weight loss coaching business and getting engaged to my fiance. Just when I was starting to find a stride with my new routine, my fiance and I got the opportunity for yet another life adventure: a move away from our cozy hometown in the SF Bay Area clear across the country to begin an urban adventure in the heart of Philadelphia. Although a move like this never had crossed our minds before, when the opportunity for an adventure of this magnitude showed up we were both filled with a whole-hearted YES. We couldn’t be more excited. Although we consider ourselves well-traveled, we realize that we have both lived few places other than California and our colleges in the Pacific Northwest. We are excited to take on a new place, new culture, and new…. weather. Although I won’t be headquartered in the Bay Area any longer, I will be still running my weight loss coaching biz. To dispel any confusion, I just wanted to be sure to address head on some questions that I know are probably already on your mind about my relationship with you and my coaching business. Read on for all the answers you need or contact me directly at jen@coachingbyjennifer.com if there is anything you have questions about. Q. Will you be continuing to work as a Weight Loss Coach? A. YES, YES, & YES! I actually have big plans for my biz in the future. Stay tuned for information on a wider selection of coaching programs, more healthy lifestyle resources, and new and delicious healthy recipes in the near future. As a member of my mailing list, you will always be first to know about everything new and good. Q. If you are in Philadelphia, and I am in the SF Bay Area, how would we work together? A. I coach exclusively over the phone or over video chat (Skype or FaceTime) so the distance won’t be a problem at all! Working this way actually allows for us to schedule appointments with more flexibility and keep our conversations more private and intimate. I also provide accountability with online weight loss journals that can be shared with me in real time so I can stay up to date on how you are doing and you can ask me questions as they pop up for you. Q. I am looking for support in my weight loss journey. How can I get started working with you? A. I offer complimentary sessions for all clients, old and new, so that we can have an opportunity to review your current goals and habits as well as discuss how our coaching relationship will work. Even if you are just curious to find out more information, please don’t hesitate to schedule an appointment here. Q. How can I stay in touch with you? A. I adore hearing from clients new and old and always love to hear how you are doing in life. Please always feel comfortable emailing me at jen@coachingbyjennifer.com, or by following me on my favorite social media platform Instagram. If you want to stay up to date on behind the scenes lifestyle, recipes, and weight loss tips, Instagram is the place to hang out with me. And with that, I will not say goodbye, but rather, I will be in touch soon! We all know that eating more greens should be on our todo list, but if you are finding you need a little shake up to your good old salad routine, today you are in luck!